With each project, we determine along with you the level of design that may be required to complete your space based on your wants and needs. We operate on a range of levels, from a hand sketched plan to a full-boar 3D rendering of your space. Perhaps you’re in need of a professional eye, second opinion, or are seeking some new ideas. Our consultations are great for clients with smaller spaces who are needing some material and planting suggestions. You may require a rough sketch of your space, or simply a plant list. With this design option, you will be able to see your space re-imagined in three different plans. We take into account your lifestyle, desired aesthetics, surrounding architecture, outdoor needs and budget to deliver hand-drawn plans of hardscapes, small structures and planting options. We also include images of materials, styles and plants so that you are able to truly envision your new space. We will work with you to deliver a final plan iteration that is ready for construction. We will create to-scale plans of your space and present you with three ideas that suit your style and needs. 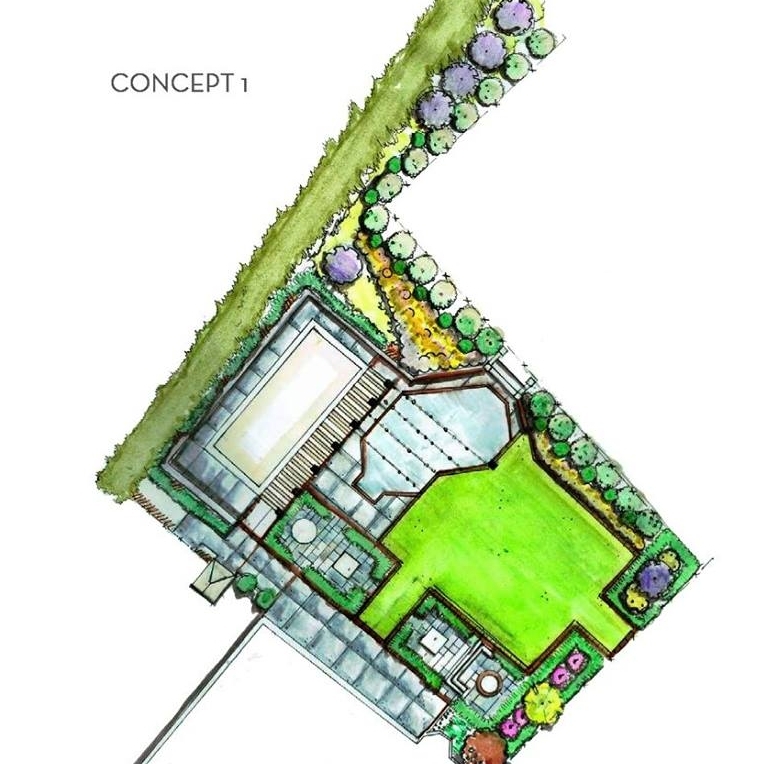 With this design package, we will explore multiple routes of design aesthetics, space layouts, and constructed elements to create detailed hardscape + planting plans and construction drawings. We will then take your 2D plans and expand them into 3D renderings, so you can see your new space come to life. You will receive to-scale plans and construction drawings ready for implementation.